Mastering is essential for making that leap from what you hear in your head to something someone would want to own. Historically the best sounding master could make or break a record. Mastering is giving the song a chance to benefit from fresh ears and expert reference monitoring to create a dynamic record without joining the 'Loudness War'. It is your last chance to even out inaccuracies of your mix that didn't get heard before in the design room - to maximize space and clarity that could get lost further down the chain. 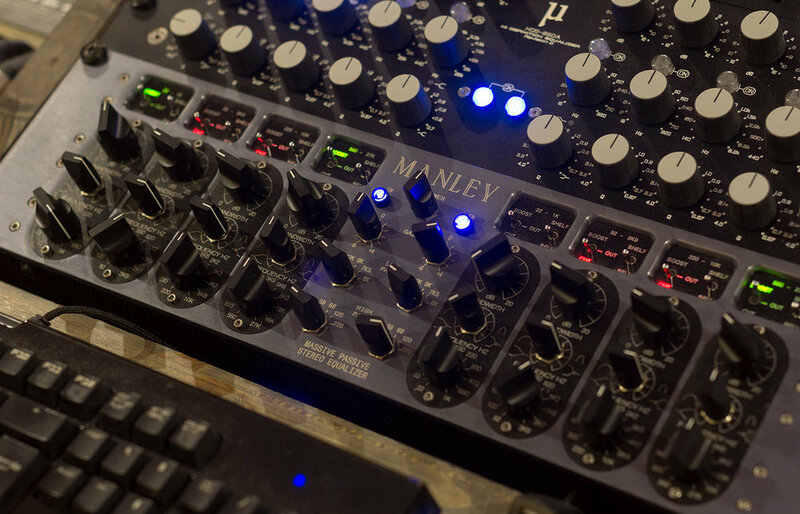 why not use an online mastering site? What makes a great master cannot be seen by an online algorithm. Being new to something keeps you from knowing the difference between what's better, because while you may have a comparison of your own music, you don't have a comparison of multiple songs next to each other - with even volume, even breadth, even width & even depth. The most you can do is turn your mix up; but "loudness only" doesn't make your song a hit. Why should I trust you to do it? With us, one song is enough to gain each other's rhythm. Everything else will take care of itself. As a token of our appreciation, you can scroll down to the bottom for samples of what's coming soon. Some people hear "Yanny" while others hear "Laurel." We will recommend you to another lab that does great work also. It will be more expensive, but necessary if it's a project we can't handle for the price point we provide. For general inquiries, click CONTACT. Thank you for choosing Attribute.